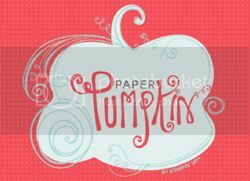 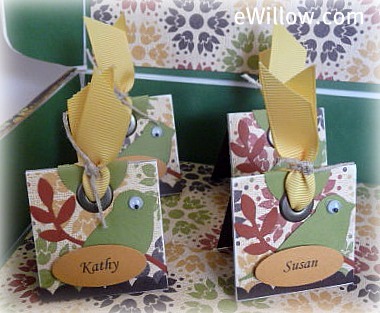 Here are two more ideas for your Thanksgiving place cards. 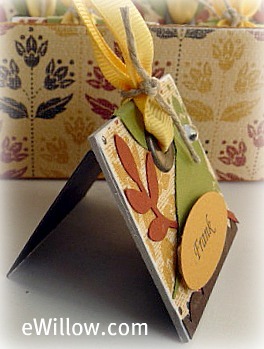 First, add a piece of folded card stock to the back of each place card so the cards can stand on their own. 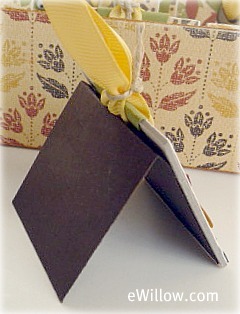 To make the stand, cut a piece of card stock 1-3/4" x 3-1/2". 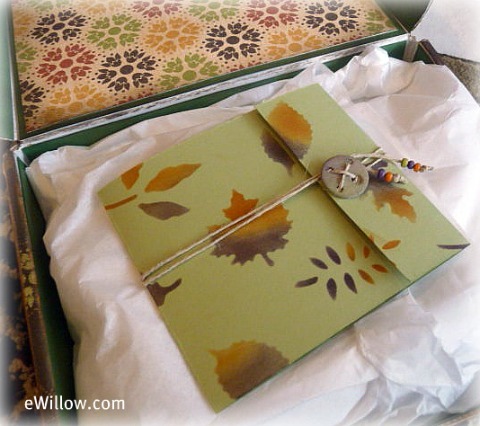 Score the piece at 1-3/4" and adhere to the back of the place card with Mod Podge. 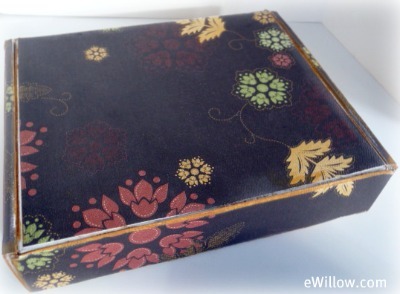 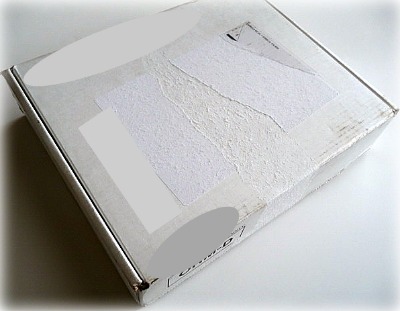 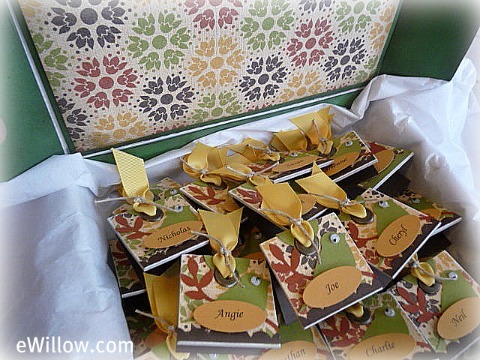 Next, you can recycle a cardboard box into a cool gift box to present the place cards to your hostess.